First Church of Christ, Scientist, Hayward, CA | Welcome to our healing church! The Lord is merciful, compassionate, patient, and always ready to forgive. First Church of Christ, Scientist, Hayward, California, is a branch of The Mother Church, The First Church of Christ, Scientist in Boston, Massachusetts. We welcome with open arms all seekers of truth. 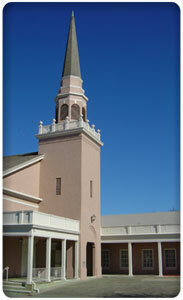 We offer Sunday services, weekly Wednesday testimony meetings, a public Reading Room and more. Students of Christian Science regularly experience healings of both physical and mental problems. Members of First Church of Christ, Scientist, Hayward have experienced healings of broken bones, illnesses, financial problems, marital issues and many other challenges. Please visit the Our Accounts of Healing section to read direct first person accounts of healings experienced by our members. New testimonies are added regularly, so check back often.